UK Sleepers began by locating classic sleepers from the British train tracks and these soon became well liked by a lot of landscapers whether or not they were looking to construct something commercially or for domestic homes. The craze for using railway sleepers in London homes and gardens has really flourished in the last few years and UK Sleepers have been able to keep up with the market demand. 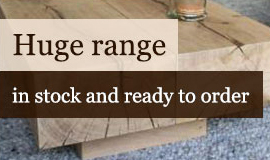 The styles on offer are diverse to work with just about any design and style no matter what, if you need old reclaimed sleepers or brand new tropical hardwood designed to last forever, we can help you. Railway Sleepers have numerous uses when it comes to landscape gardening, they range any where from raised flower beds, patio furniture, steps and so forth. Throughout today’s throw away society more people have the desire to reuse and recycle, making reclaimed railway sleepers an ideal option to create something impressive. 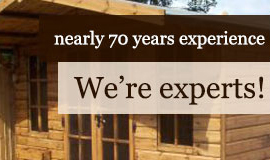 For anyone in search of eco-friendly railway sleepers we now have just that. All of the sleepers we source come from sawmills in the middle of sustainable woodlands and the additional used railway sleepers are from railway contractors and European railway networks. We buy as much as we can to ensure our stock variety can be as assorted as is possible, this way you are going to have a lot to select from. As the customer you'll be able to drop by to collect everything from a single sleeper, fence posts, and oak beams or perhaps have full truck or van loads brought to your business office. We supply some of the best grade reclaimed railway sleepers in London that come loaded with character. Regardless of being reclaimed they're going to definitely last for many years to come and we offer them at really low prices. These reclaimed railway sleepers could also be used for barn and garage lintels and also many functions within the garden. The aged oak look would be extremely in keeping with an old structure and appear to have always been there. We also provide treated railway sleepers in London that are suitable for sitting outdoors in the back garden in all conditions. 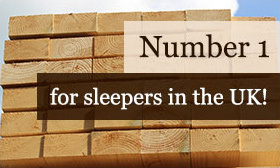 We also deliver making it simpler to get your hands on railway sleepers in London. Our large fleet of distribution vehicles is great for getting an order of sleepers to your home regardless of how small or big. The distribution vehicles come equipped with a crane so there's no heavy-lifting involved and they can be positioned where you would like them. If you aren't looking for used and reclaimed sleepers we have some great new railway sleepers in chestnut or oak. Other styles available include new rustic looking railway sleepers; they can have waned edges or a little residual bark and perhaps the odd knot or two. Our railway sleepers available in London come either treated or untreated according to what will you prefer and in addition they can be delivered straight to your home.